20 pages per pad. Paper. 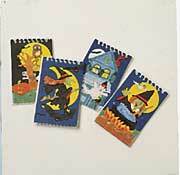 Assorted styles of Halloween notepads. 4 inch.